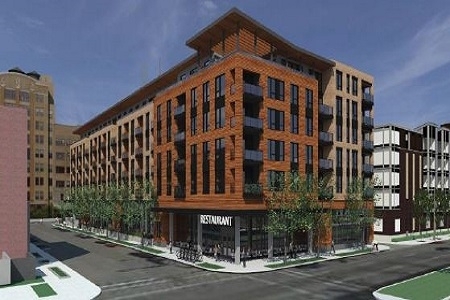 Vicinity Apartments and Townhomes is a to-be-built, Class A, mixed-use 118-unit apartment and 4 townhome development located in the desireable Mill District in Minneapolis. In addition to the apartment units and townhomes, the development will include 7,700 square feet of retail space and +138 below-grade parking spaces. The site is a 10 minute walk from downtown Minneapolis, 15 minute walk from Whole Foods and 3 blocks away from a light rail station. EverWest closed on the Preferred Equity investment in May 2018.